RIDGID Press Tools are unmatched in versatility, efficiency and quality. With over 1000 settings for copper, stainless and black iron pipe you’ll be ready for whatever the job throws at you. 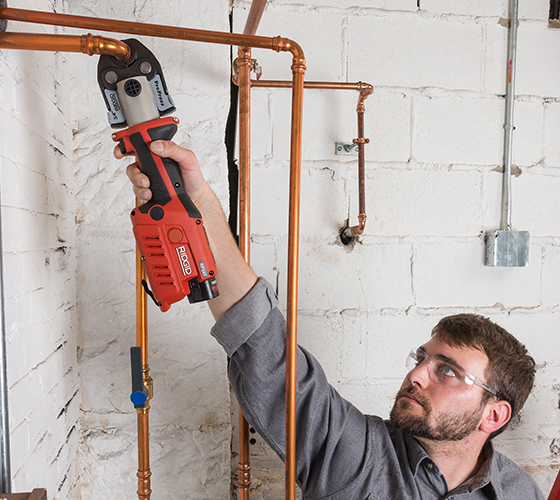 Press copper, stainless steel, PEX and black iron and cut soil pipe with the RIDGID press tool system. With lightweight pistol-grip and inline models, you choose the tool that works best for you. The rotating barrel makes the connection even easier to reach and complete. Reduce the length of time a system must be shut down by eliminating the need to drain and dry a system making new installations and existing upgrades easy, providing security and complete peace of mind. An internal processor confirms a perfect press every time. Viega’s Smart Connect feature helps installers easily identify unpressed connections. Onboard diagnostics alert you when the battery is low, the tool is too hot or cold and when service is needed. 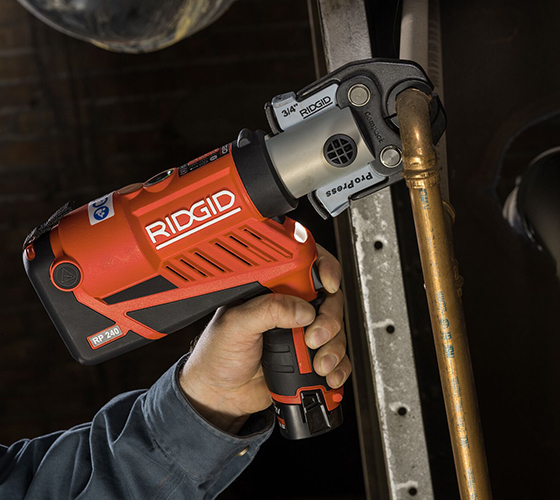 The RP 240 is the latest pistol-grip tool in the RIDGID Compact Press Tool family. This lightweight, low profile design, is ergonomically designed to help you easily work in the most difficult jobsite conditions. 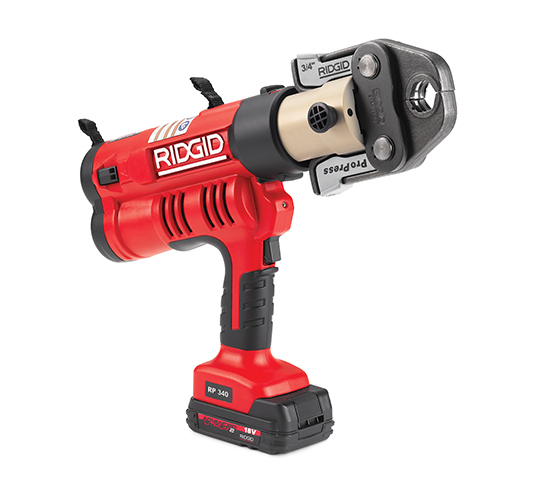 RIDGID has the only compact press tool that can go up to 1 1/4" (32 mm) on Copper & Stainless Steel; up to 1 1/2" (40 mm) on PEX tubing; and up to 3/4" (20mm) Iron Pipe. 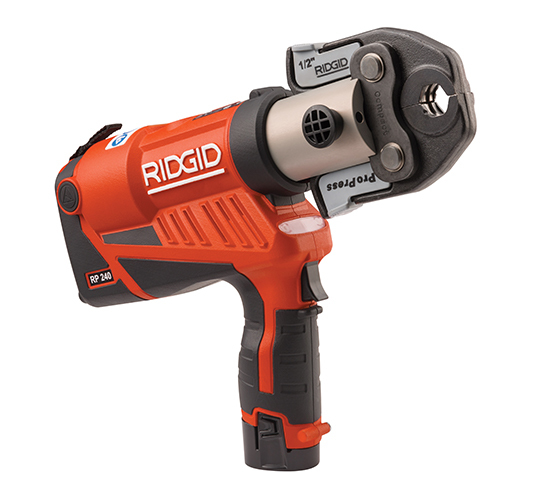 The RP 340 is the latest standard sized pistol-grip tool in the industry leading RIDGID Press Tool family. 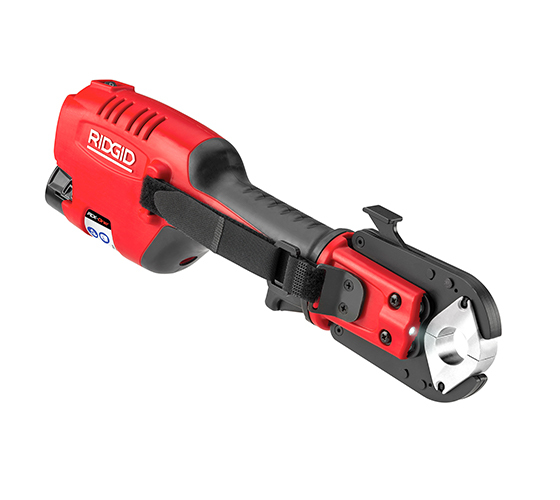 30% smaller and 17% lighter than its predecessor, this tool is ideal for making any connection on the job. The only standard sized tool that offers a full line of jaws and rings compatible with: ½ - 4” ProPress for cu & ss, ½” – 2” PureFlow for PEX, and ½” – 2” MegaPress for steel. The RP 340 truly is built to impress. 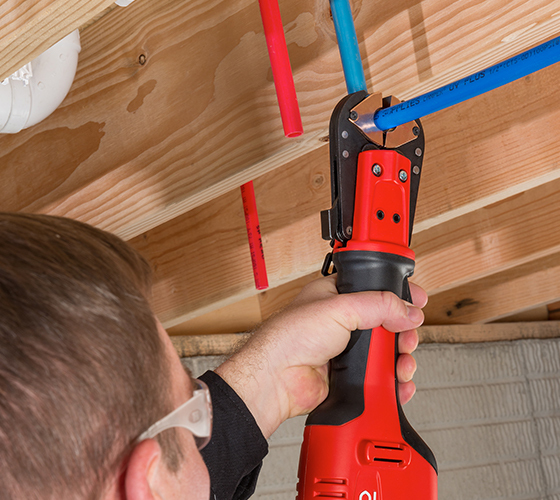 The PEX-One is designed for PEX tubing projects and plumbing systems. It gives you the one-handed functionality you need to make easy and accurate press connections in tight or hard-to-reach spaces. Interchangeable dies allows the PEX-One to press 1/2", 3/4" and 1" fittings, freeing up tool storage space.